Annell (Ann) Bowden passed away peacefully on February 3rd, 2018 at the age of 81. 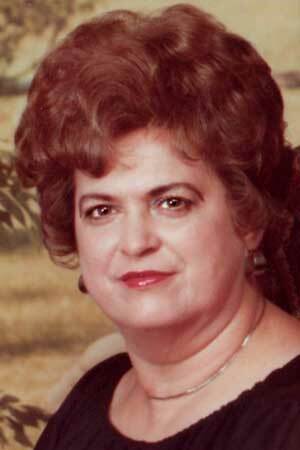 Annell was born March 12th, 1936 in Rural Coffee County, Ala. and attended school in Brantley, Ala.
She was preceded in death by her parents, Luia and Verta Hanchey; husband of 46 years Hayward Bowden; son, Michael Bowden; and brother-in-law Jack Hasty. She is survived by three children; sons, Bobby (Susan) Bowden, Hurley, MS; Douglas (Rhonda) Bowden, Jacksonville, Fla.; daughter, Shirley and (Barry) Daniel, Peachtree City, Ga.; siblings; sister, Betty Hasty; brother, Jimmy and (Brenda) Hanchey; seven grandchildren and six great grandchildren. Annell was married May 1st, 1953 to Hayward Bowden of the United States Navy. She spent 23 years with her husband and children while he was serving in the U.S. Navy in various United States and overseas naval bases. She was a proficient embroider for many years. After retiring from spousal military service, she attended George C. Wallace in Dothan Ala. to obtain her LPN nursing degree. She will always be loved and remembered as a strong willed caring and loving mother. She always loved taking care of her family and home, and spending time in the kitchen preparing southern style family recipes. She was very fond of outdoor birdlife, flowers, and cats. Years will pass and hearts will mend, but love for our mother will never end. After your journey to the heavenly sky, our Lord and passed family are waiting by. A mother’s love will surely be missed, which is undoubtedly life’s most precious gift. Family will receive visitors February 9, 2018, at 1 p.m. at Glover Funeral Home in Dothan, Ala. Chapel Service will begin at 2 p.m. Interment will follow at Garden of Memories. The family gives special thanks for the loving care of ‘Ann’ at Ashley Glen Assisted Living in Peachtree City, Ga. and to Vitas Hospice Care.